Do you ever wonder about what to do with extra scrapbook paper or card stock that didn't fit with another project? 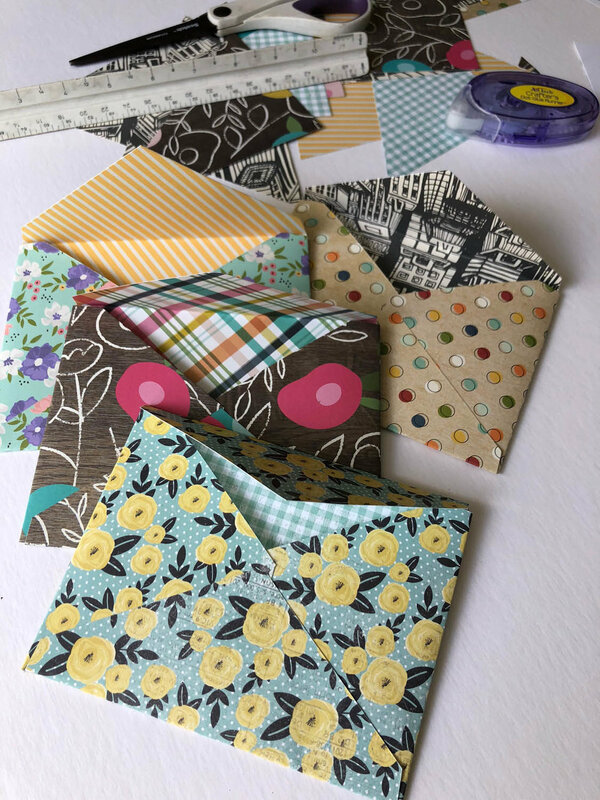 Here's a fun, easy, and very inexpensive way to use leftover scrapbook or heavy paper to create one-of-a-kind DIY envelopes. First you'll need an old envelope of your desired size to use as a template. I had a very old envelope that was a bit smaller than my desired size but I'm going to show you how I made it work! 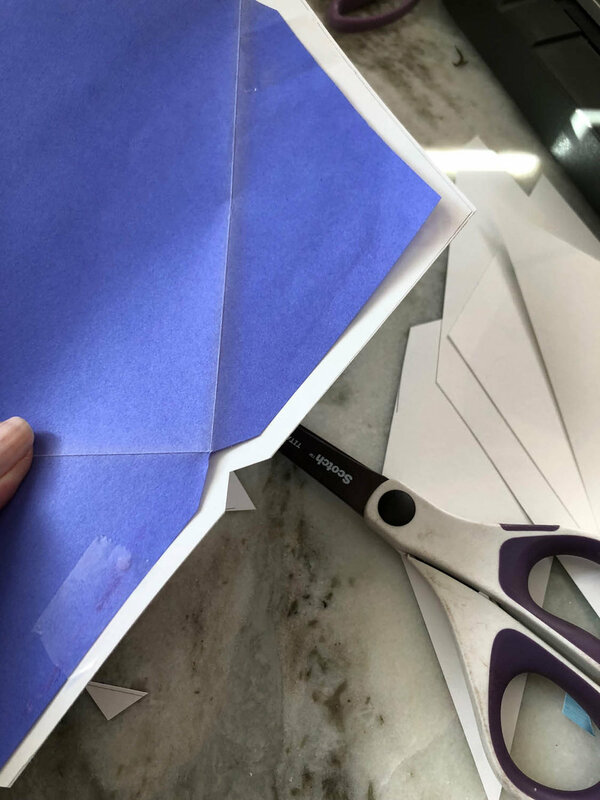 First you'll need to deconstruct your envelope (it's just a template so don't worry if it gets slightly torn as you pull it apart). 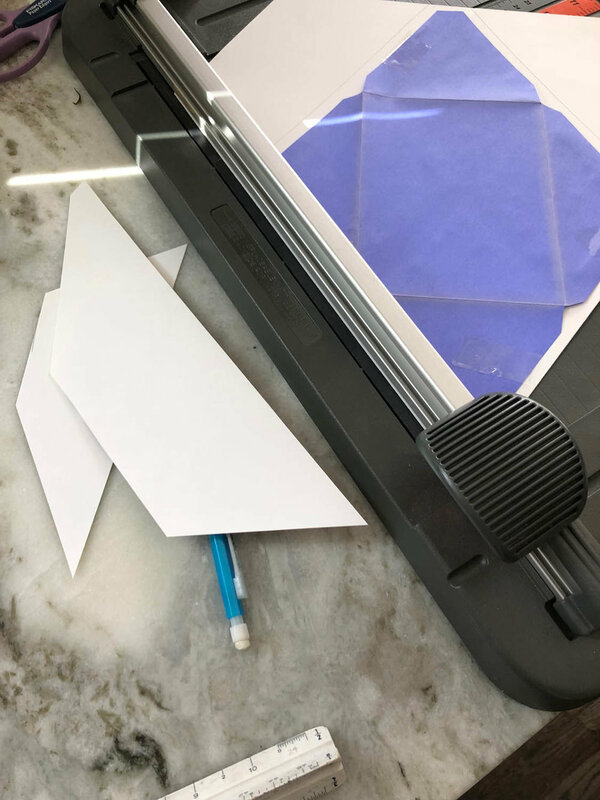 Tape the envelope to your card stock or heavy scrapbook paper and trace around edges (I wanted one of mine to be slightly larger than the original envelope so I added 1/2" around the perimeter of the template). 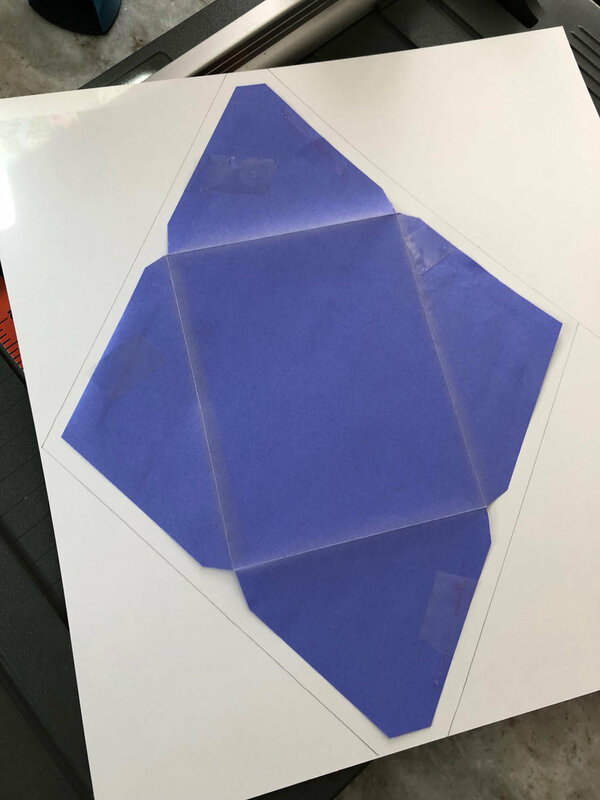 Using a pencil and ruler, trace around perimeter of envelope template (if desired, add to the measurement to increase size of finished project). 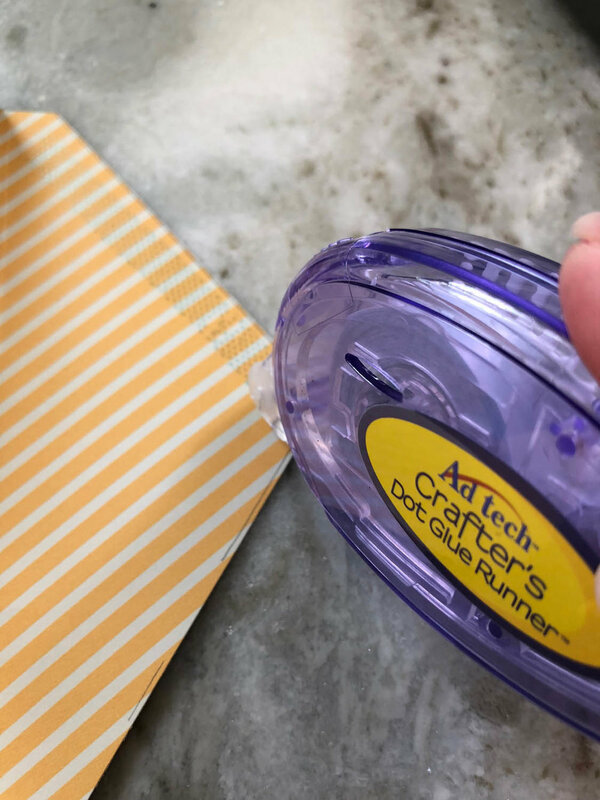 With your rotary cutter or scissors, cut your scrapbook paper, making sure to notch out the corners where the envelope will be folded. 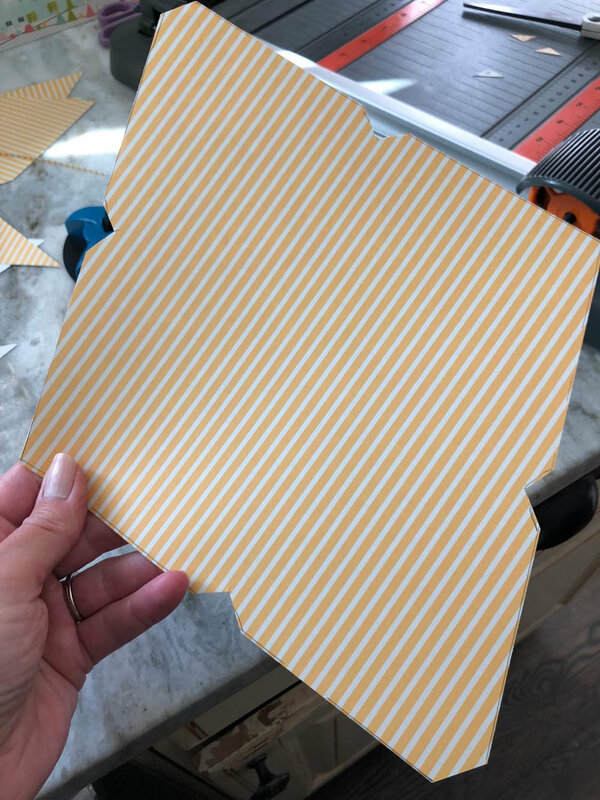 Here's an example of a favorite piece of two-sided scrapbook paper used for the finished envelopes you see here. 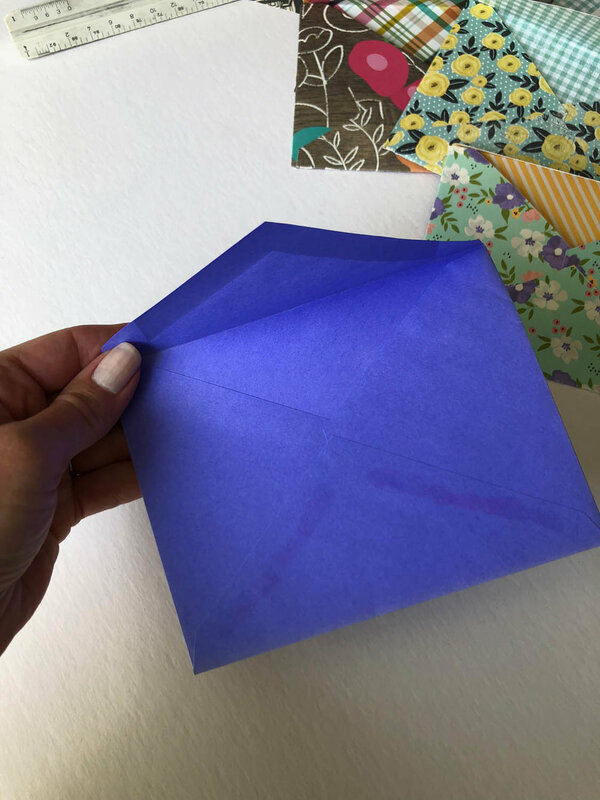 Fold your scrapbook paper envelope where you've notched out your paper and use a glue stick or glue runner to secure the bottom flap to the folded-in side flaps. 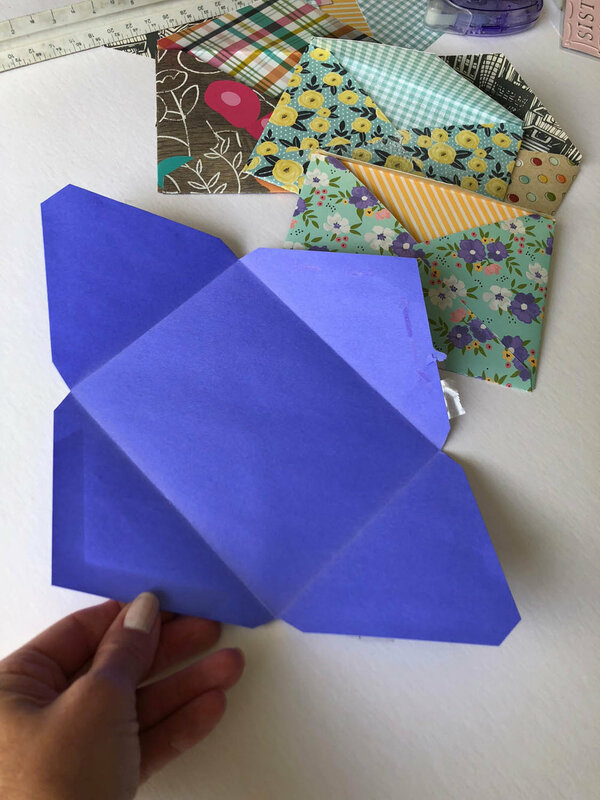 I've made lots of DIY envelopes with scrapbook paper and have used them for handmade birthday cards, or notes. Just be sure if you're mailing one of these envelopes to use a solid or very muted color so you'll be able to see the written address on the envelope! I made a small note card from my left-over paper and decorated it with a sticker and a note to tuck in my best friend's birthday gift. I know she appreciated the extra time spent to create her unique card! Now you know one of my ideas of what to do with extra scrapbook paper! 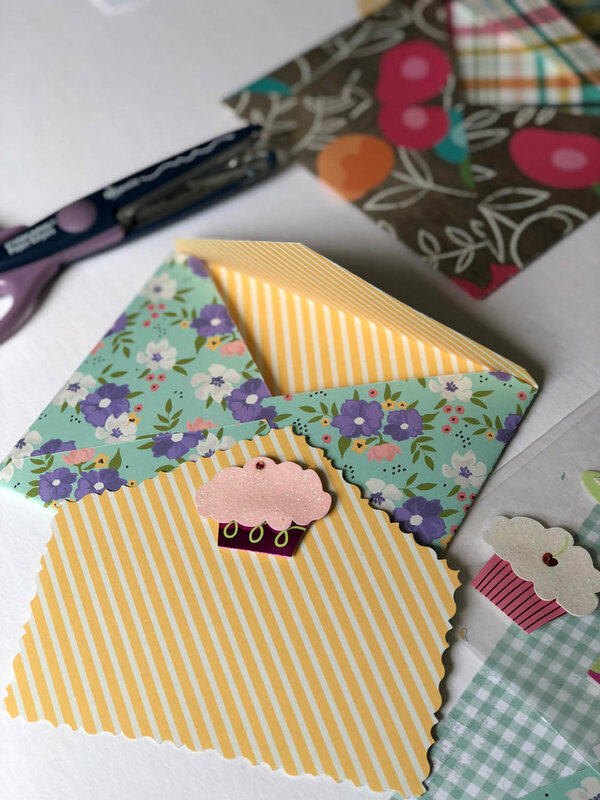 Do you have any fun ideas for using scrapbook paper or card stock? I'd love to hear about them so feel free to comment or email me any time! 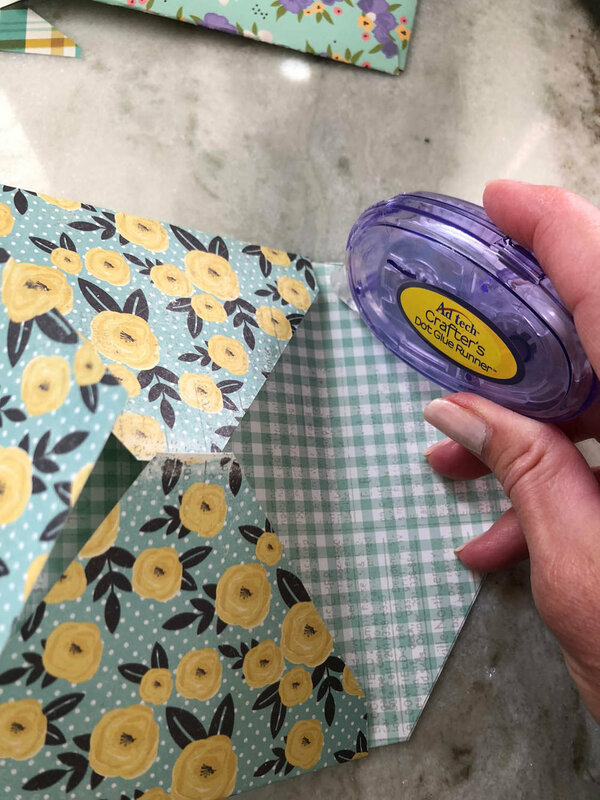 Be sure to see our other card-making projects, such as Charlotte's Lace: Vintage Notions Enhance Handmade Cards, and Embellished Spring Easter Cards for ideas that can be used for any occasion. You might also enjoy my other DIY & Crafts posts, including my tutorial on Simple Soap Making: A Fun Craft for the Whole Family, and how to make a DIY Ribbon Clipboard by upcycling an old frame. The mixed-media trend is so popular because it's a great way to use up left-over supplies and trinkets to create unique art.